Behold! She’s beauty, she’s grace, she’ll print your jobs at an alarming pace! Have a nice Easter weekend everyone! 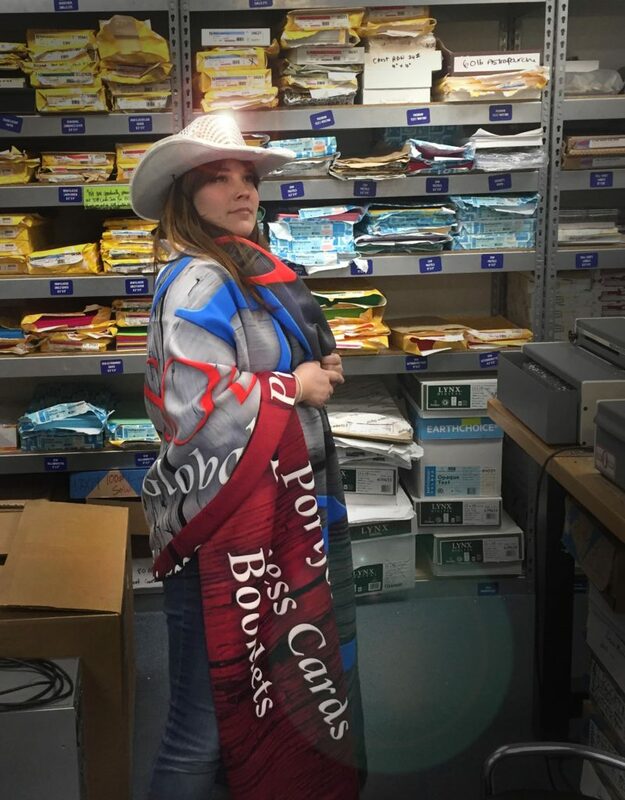 (Our Art Director Stephanie wearing one of our retired tablecloths and a hot job hat). And a Successful SXSW was had by all! Gorgeous Posters. Look at the COLORS. 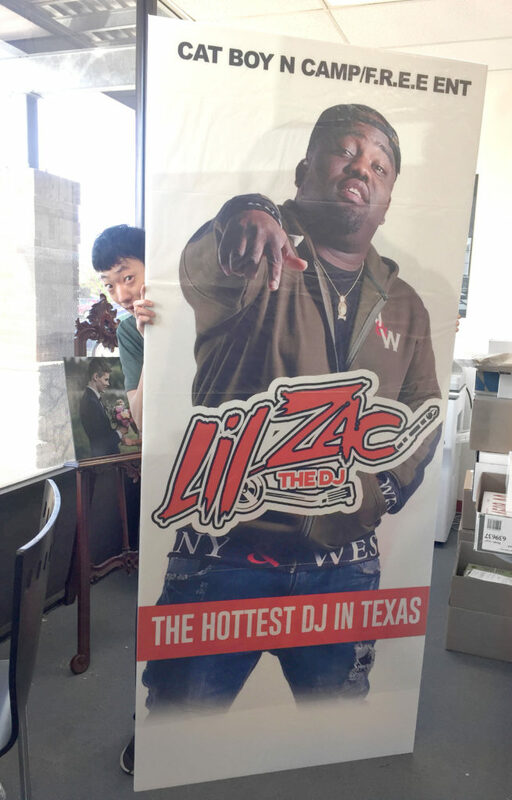 The Lil Zac we printed was not so little. 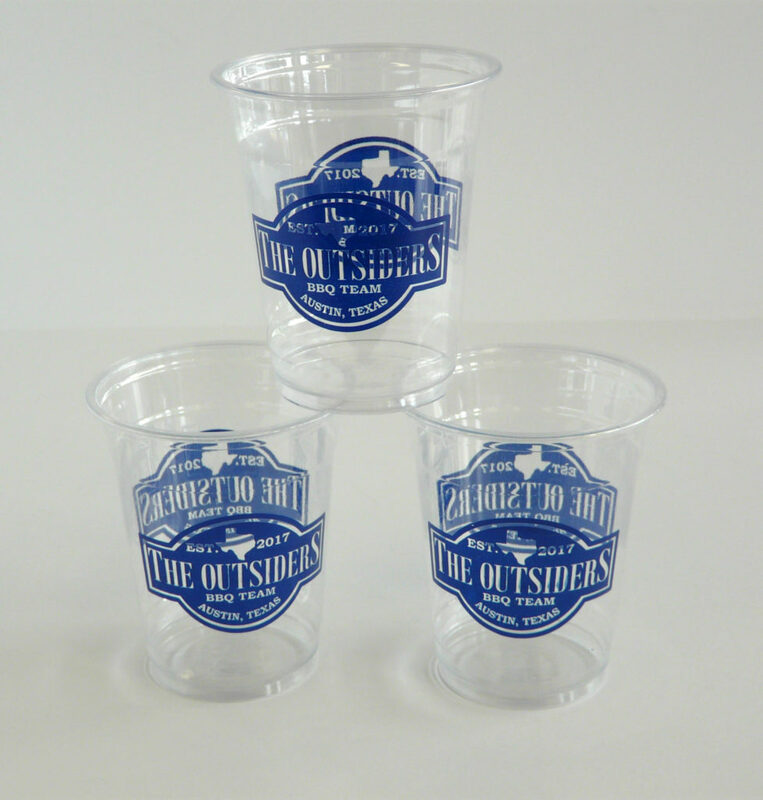 Branded Cups for the Austin Rodeo! 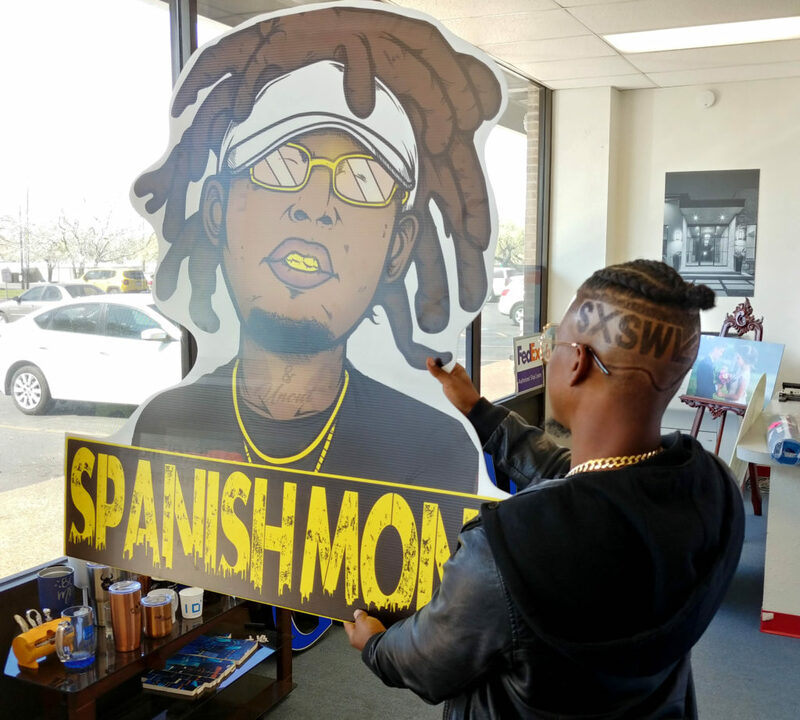 Spanish Money & Henbo stopped by for another visit! Minimalist Business Cards for Artists! 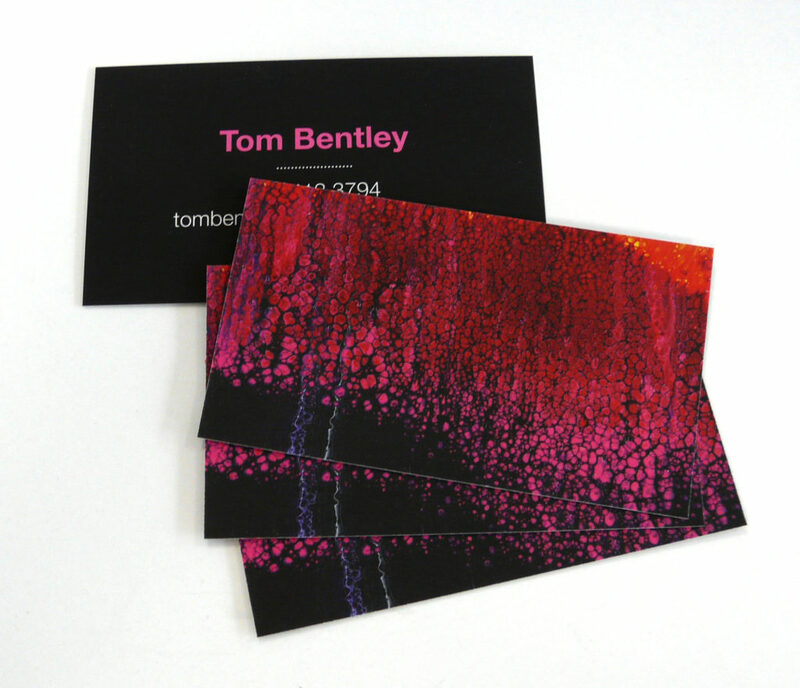 We designed and printed these business cards for Engineer turned Fine Artist Tom Bentley, and they turned out great! 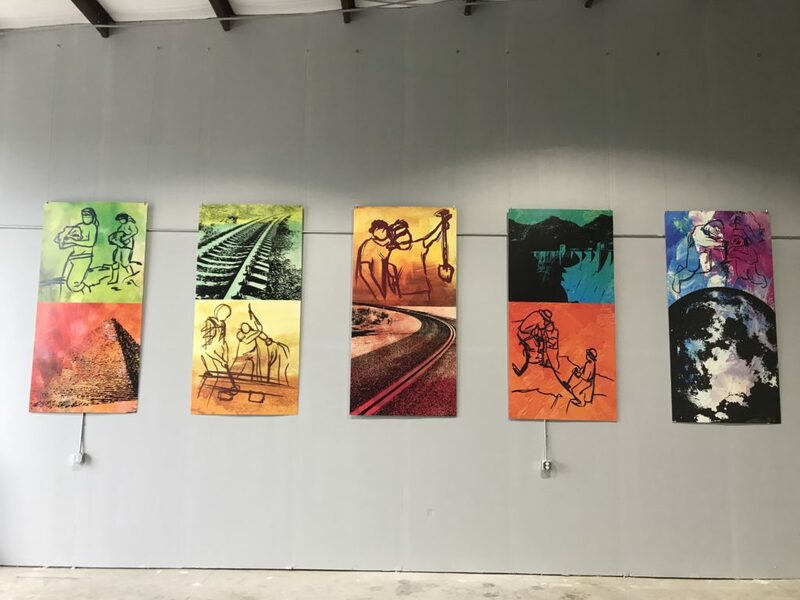 Many artists prefer to let the work speak for itself, so a design featuring one of your pieces on one side and no frills contact info on the other is a great way to go. Tom also opted for suede lamination, which makes an otherwise simple card very memorable and luxurious. We love supporting local artists, so if you’re interested in business cards, prints, or custom swag to promote your work, drop us a line! Art Prints & Pop Up Banners for Opifex Global! 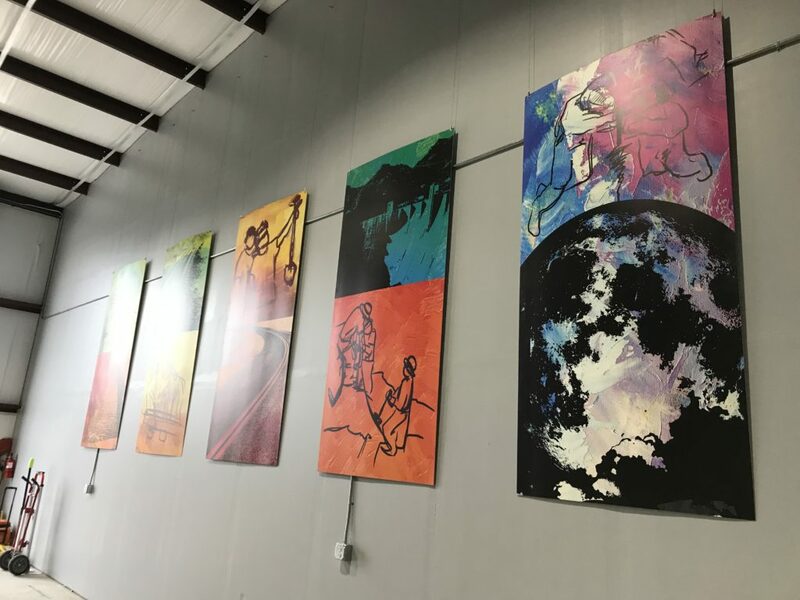 We had the pleasure of producing some huge art prints as well as a row of pop up banners to decorate the facility at Opifex Global, a commercial astronaut training facility right outside of Austin! 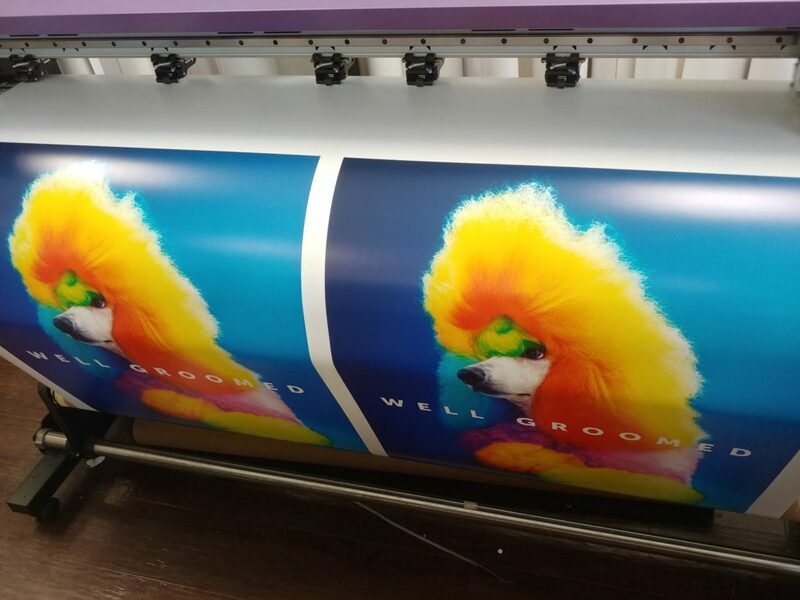 The wall art is printed on 3mm PVC using our state of the art flatbed printer, using waterproof and UV resistant inks. 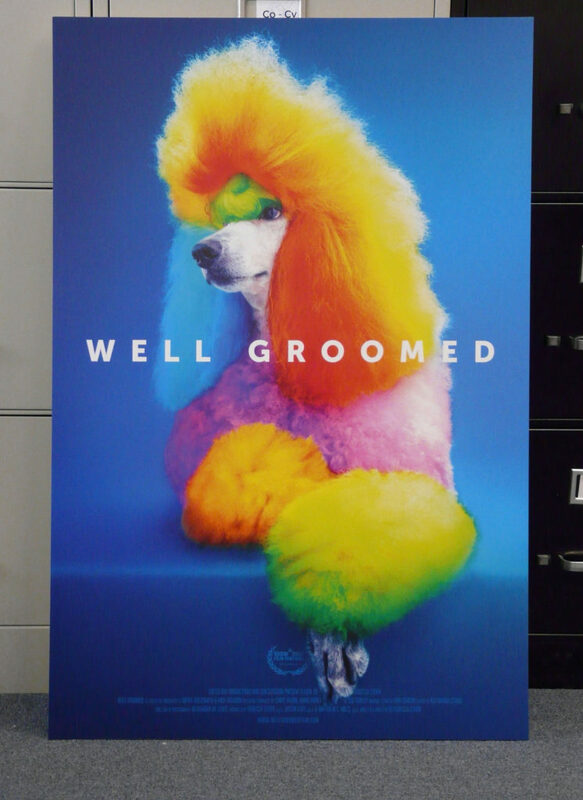 The banners are featured on our deluxe pop up stands. Contact us to learn how we can help you decorate your space today! The art pieces narrate humanity’s technological progression, starting with the building of the Great Pyramids, and leading up to space travel. The pop up banners can be seen in the background on the left. Gorgeous Custom Journals for National Diversity Council! We created these beautiful journals for our longtime partners, National Diversity Council, and it was honestly so hard to hand them over. All we wanted to do was fill them with our hopes and dreams! We’d love to create some more for you and your note writing peers! 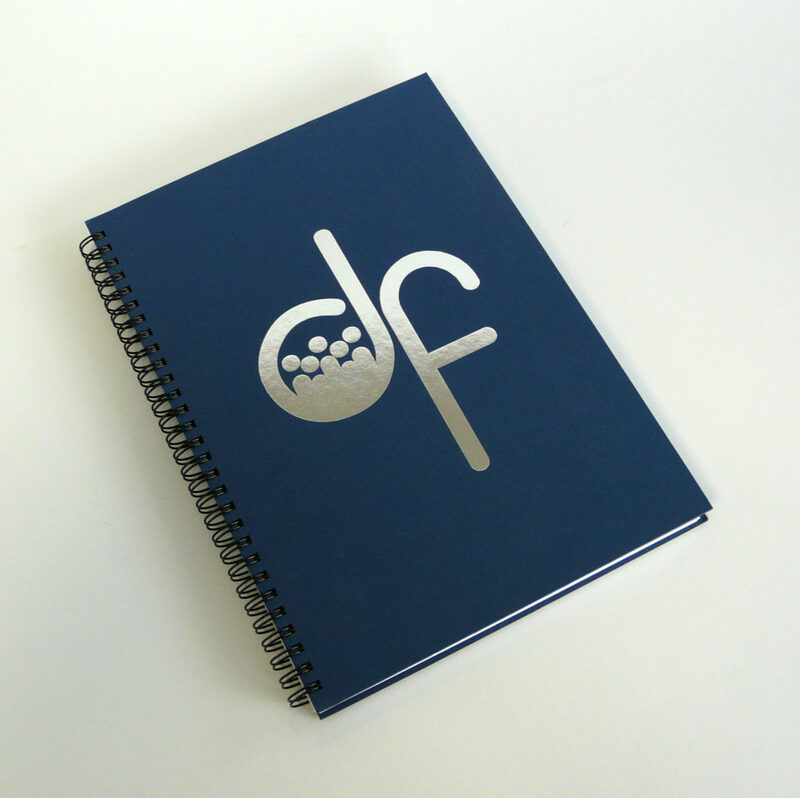 What would you put on the front of your custom notebooks? 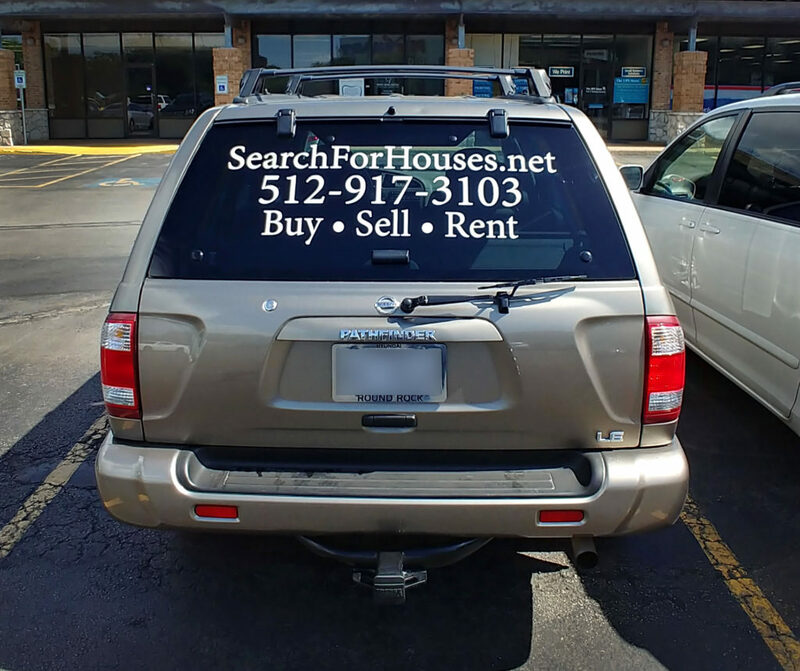 Have you ever wished your vehicle had pictures and/or words on it? We’ve got you covered! We even covered these windshields. 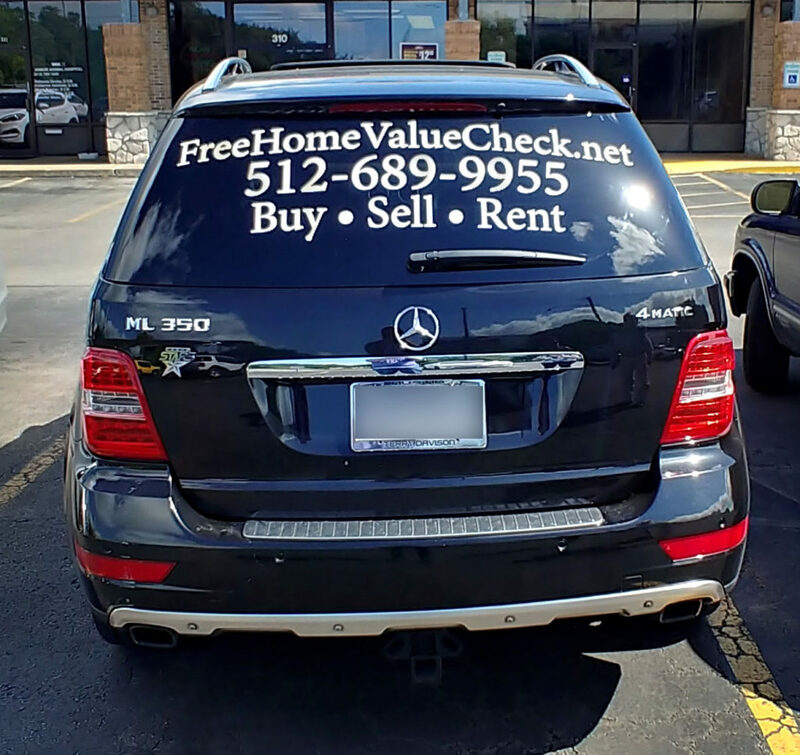 Contact us with your ideas and we’ll get you an estimate! Custom Coozies for Outsiders BBQ! 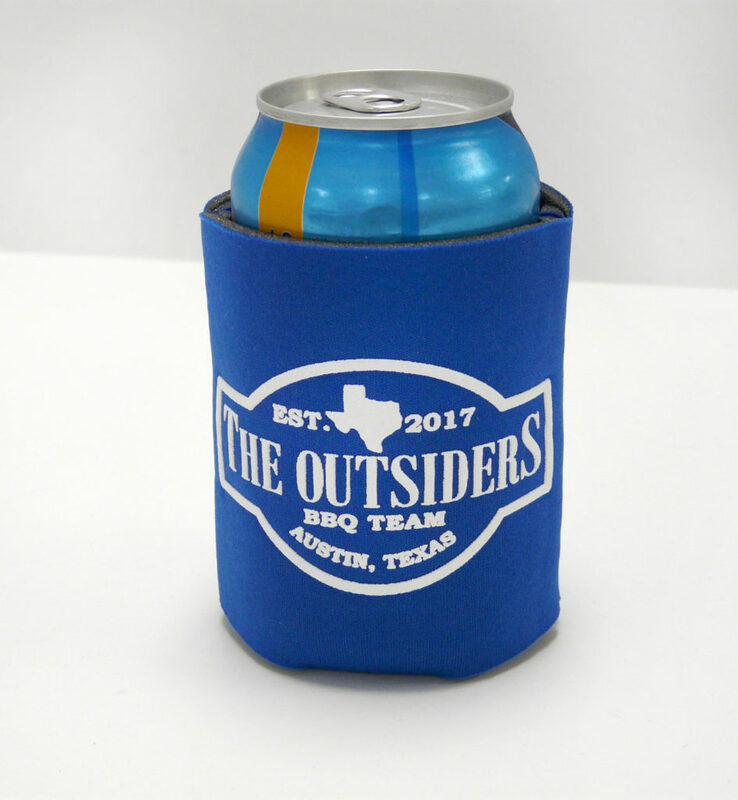 We created these custom screenprinted neoprene coozies in partnership with The Outsiders Barbecue Team and they are keeping our locally brewed beverages juuuuust the right temperature. Coozies are a great promotional item to give away because they’re affordable and will be used again and again! Contact us today about custom gifts for your next event! Custom Embroidered Beanies for Freezerburn! 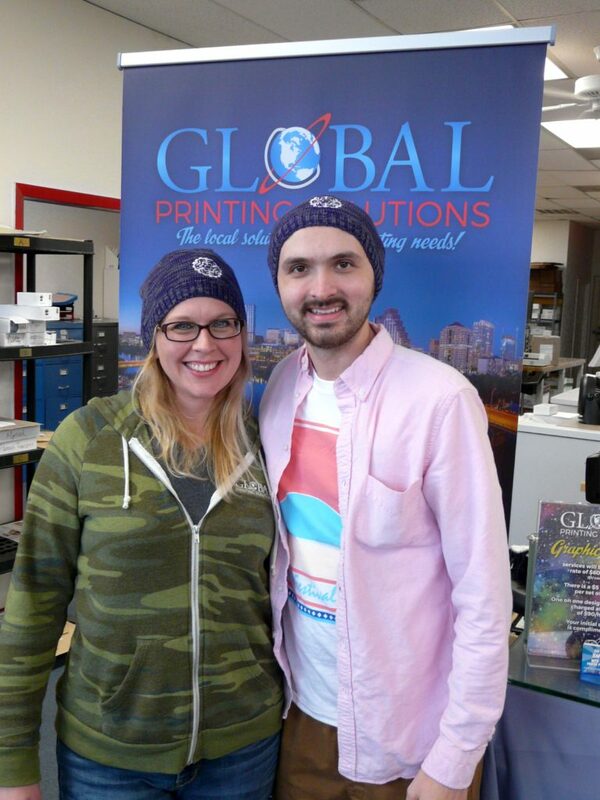 We created these cool beanies with a snowflake logo for Freezerburn 2019, and they sure do look spiffy! Special thanks to our lovely hat models, designers Amy and Austin. Got an idea for custom swag for your team or to hand out at your next event? Drop us a line and we’ll get you some pricing! Custom Mugs for Kerbey Lane Cafe! 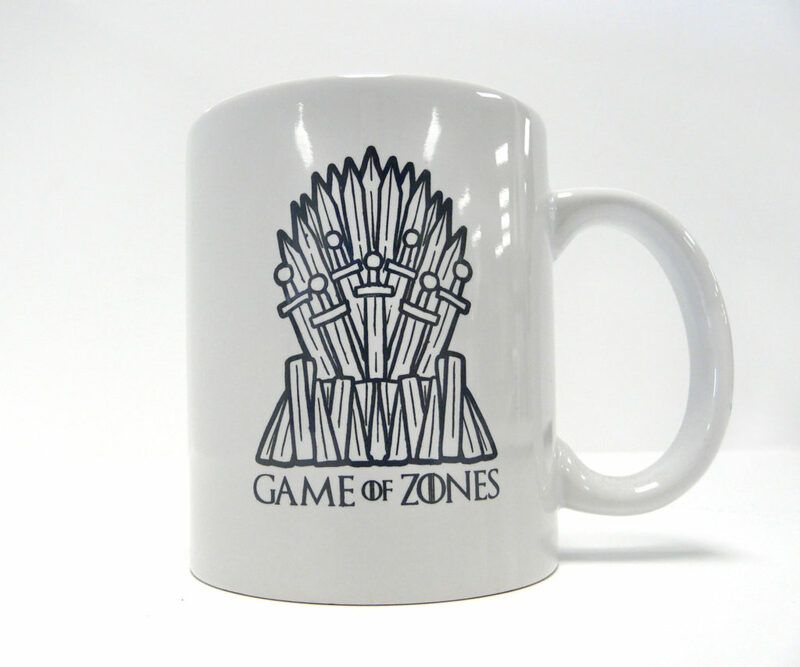 Check out these awesome Kerbey Lane Mugs with their special Game of Thrones reference! The mugs were for their staff, referencing a new zone based initiative in their restaurants. Custom gifts for your staff and coworkers are a great way to build morale and friendships in the workplace- do you and your coworkers have any inside jokes that would be hilarious to put on a coffee mug? Why not chat about it with a designer and see what we can brew up together! Collecting Donations for Coats for Kids! We are now collecting donations for Coats for Kids through November 28th. If you have any coats to give, please come by the shop Monday – Friday 8:30 am – 5:30 pm and drop them in the big box up front! This is the Junior League of Austin’s 32nd Annual Coats for Kids Drive, and the Distribution Day will be December 8th. 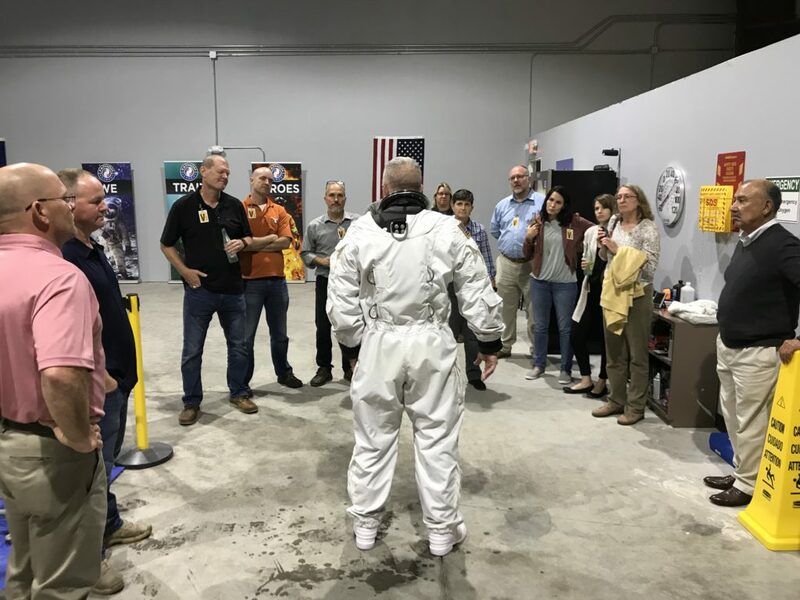 Interested in volunteering? Read more on their website! Sarah is super excited to collect Coats for Kids donations!